Former New York City Mayor Michael Bloomberg will publish a revised biography next month as the liberal billionaire decides if he will run for president in 2020. “The highly anticipated second edition of Bloomberg by Bloomberg sees the first major update of Michael Bloomberg’s autobiography since it was first published in 1997,” Wiley, the book’s publisher, said in a statement Thursday. [The book] offers an intimate look at the individual who rose from a middle-class background in Medford, Massachusetts to become a pioneer of the personal computer age, mayor of New York, one of the world’s most generous philanthropists, and one of America’s most respected—and fearless—voices on gun violence, climate change, public health, education and other issues. 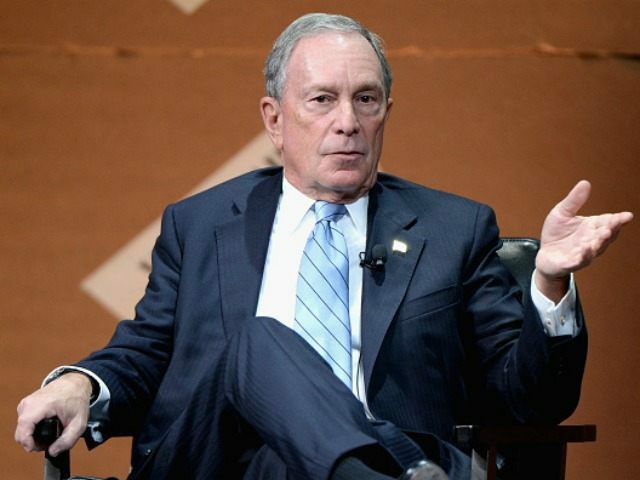 Reports of Bloomberg’s updated biography follow the billionaire’s trip to Iowa on Tuesday, in which he backtracked on previous policy stances regarding his opposition to corn-based ethanol, one of the state’s most important economic drivers. Having spent a fortune to help elect Democrats this fall, Bloomberg declared lifetime allegiance to the Democrat Party and outlined an aggressive timeline for deciding if he will run for president. “I think January, February would be about as late as you can do it and as early as you can gather enough information,” Bloomberg told the AP in an interview last month. The 76-year-old said his decision would have little to do with other Democrat presidential prospects. He conceded that “it’s much too early to tell” if he has a legitimate chance of winning the Democrat presidential nomination in 2020 and, with it, the chance to take on another New York billionaire, President Donald Trump. Should he run, Bloomberg would bring virtually limitless resources to what is expected to be a massive 2020 Democrat field. He has spent tens of millions of dollars to promote liberal priorities on climate change, gun control, and immigration. It is unclear, however, if there is room for Bloomberg in today’s Democrat Party.